Many senior citizens today, and in the near future, face an intersection of two lines; expanding life expectancy while depleting financial resources. While we covered some average costs of senior housing options in an earlier post, it pays to understand what many of us could face in the future. The Centers for Medicare and Medicaid Services estimates that two-thirds of the people over age 65 will require at least some type of long-term care and over 45 percent will need a period of time in a skilled nursing facility. In a worst-case scenario, where a senior must reside long-term in a nursing home, they can, according to a survey by Genworth Financial, be looking at a staggering charge of $80,000 to $90,000 per year. A Harvard study suggests as much as 72% of Americans would become impoverished after one year in a nursing home. In-home long-term care is an option for some situations, however this too comes at a significant expense. 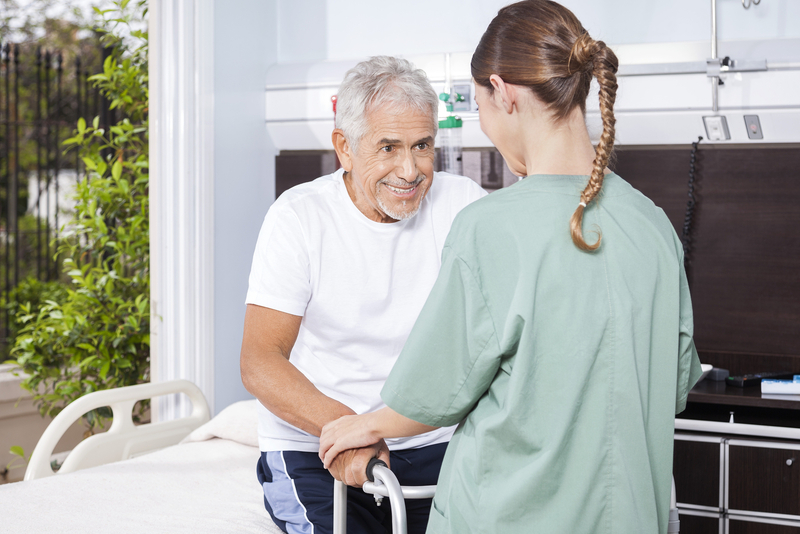 While the need for long-term care is far from inevitable, a failure to prepare for this contingency can be a mistake. With these sobering numbers in mind we want to look at some options that may help reduce the costs for seniors and their care providers as they plan for the future. A well-managed portfolio, typically under the direction of a financial advisor or wealth management team, is the best way to assure the entry into the golden years is as well funded as possible. Beyond merely amassing a “war chest” against eventualities, such a portfolio can be converted to instruments that can provide a level of assurance throughout a lifetime. Even if you, or the parents you are now helping, are less than ideally prepared, a financial review might help to structure your investment portfolio to align to the need as you begin to face rising costs. And, as noted in an earlier post, having the financial house in order, with all appropriate documents in place will simplify the challenge if the senior is not in a position to manage their care and its funding. Health Insurance, either private or employer sponsored typically does not cover long-term care expenses in or out of the home. Long-term care insurance is a type of plan that can assist with the costs not covered by medical insurance. In general, long-term care insurance will assist in covering the cost of home care, assisted living, adult daycare, respite care, hospice care, nursing home and Alzheimer's care facilities. Some providers offer the insurance well into the senior years, although experts note that premiums will be much lower the earlier the policy is written in an individuals lifetime. Rising premiums and the exclusion of pre-existing conditions for some policies are areas to be researched. Life Insurance conversion is another option available to some. Many policies allow a conversion of the cash value of the policy either through loan, surrender, accelerated death benefits, or conversion into a long-term care insurance plan or a hybridization of both life insurance and long-term care insurance. Reverse Mortgages are a vehicle for a home owner to draw upon the equity of their home to defray long-term care costs, typically care delivered in the home or for one partner outside the home. While reverse mortgages may meet the needs of an elderly person, it is important to note that they are in fact a loan, which will require repayment either from the homeowner or their estate. Medicare, Medicare Supplemental Insurance and Medicaid are the best known of government programs to help seniors with health care costs. Medicare covers a number of home-care services; however, some people are surprised to learn that Medicare actually pays very little if anything towards long-term care costs outside the home. This document can be helpful in understanding the Medicare coverage available. Medicaid is the program that provides a safety net to assure that older Americans receive long-term care if they require it, however Medicaid requires that most of the recipient’s financial resources and assets have been depleted before it provides long-term assistance. Supplemental Security Income, and the Supplemental Nutrition Assistance Program are also safety net programs designed for seniors who have exhausted their personal resources. Veterans and their spouses may be entitled to several different benefits through the U.S. Department of Veterans Affairs that can assist with care related costs. Fortunately, it is not necessary to travel this path alone. Whether you are a senior, or are assisting a senior, there are guides. Most states have a Department on Aging and a State Health Insurance Information Program that can connect you with advisors that will answer your questions and help you navigate the labyrinth of programs available. This article is the last in a four-part series on “Parenting the Parent.” Please see our other articles on Parenting The Parent 101, Aging Parents and Money Management, and Senior Housing 101. Follow us on Facebook, Twitter or LinkedIn to receive notifications of future articles. As always, as your challenges relate to financial management, our team of Certified Financial Planners is happy to assist, contact us at 515.225.6000.